I am wearing a homemade Oogie Boogie Costume. My daughter is wearing a Sally Costume from Party City, makeup was done by mom. I googled diy oogie boogie costume and kinda of went off of a few suggestions. 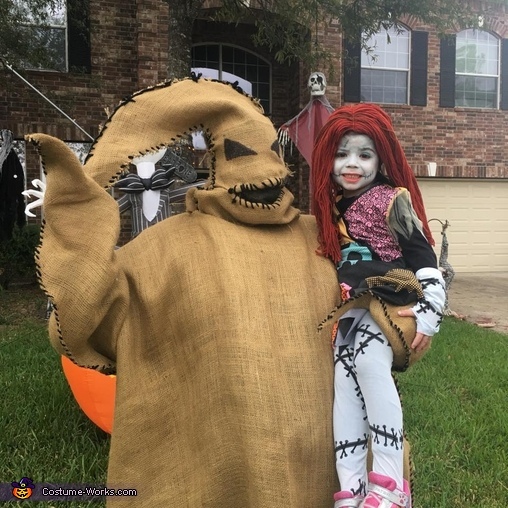 My Daughter loves the Nightmare Before Christmas and wanted to be Sally.